Emma started her musical career at the age of eight when she started learning the piano, and singing with her family group, “The Melodees”. Being part of the locally well-known Gunningham family, she was performing in concerts and competitions from an early age, While still at secondary school she also learnt the flute and saxophone, before moving on to cornet at the age of fifteen. Emma was taught by John Sharman and played with the Poltair School Brass Band, which he conducted. She then moved to the Mount Charles Youth Brass Band, joining on second cornet and progressing up to solo cornet where she remained until she left to study at Exeter University. During this time, the band played in many contests, and had continued success, winning the title of Cornish Youth Champions for the eighth year in a row, and being pronounced National Champions on winning the Brass Band category at the National Festival of Music for Youth in London. As a result of this, they played in the Youth Proms in 2000, held at the Royal Albert Hall, and this was without a doubt her most memorable banding moment. Before she left to go to University, Emma also played with the Mount Charles Senior Band and formed and conducted the St. Austell Youth Choir, winning every competition that they entered. 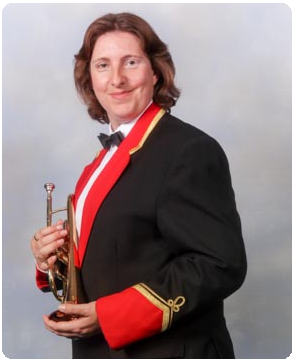 In 2002, Emma joined Bugle Silver Band and has spent twelve very happy, successful years playing with them, most of them on Principal Cornet. During this time she was mentored by David Jane, David Pope and Jeremy Willcock and is forever grateful for the huge impact they had on her playing. A highlight of her time with Bugle was playing Principal Cornet when the band qualified for and competed at the National Finals in Harrogate in 2009. Emma is delighted to have made the move to St Dennis to progress her playing, and is pleased to be working alongside her good friend Darren Hawken, with whom she has been making music since they were twelve years old! Emma is a teacher at St Breock Primary School in Wadebridge and is married to Mark, conductor of the St Austell Youth Band and ex-Grimethorpe percussionist. Together they have two lovely sons, Joshua and Thomas. Scott started playing when he was 7 years of age, playing in the St Dennis Junior Band and having private lessons with Linda Trethewey. After a few years he started having lessons with Eddie Williams and also Peter Menear which led to him to join Kernow Brass on 3rd Cornet. As he progressed, he became a member of St Dennis Youth Band, Cornwall Youth Band and then St Dennis Senior Band. Scott also spent some time playing for St Austell and Bugle bands whilst receiving private tuition from the Bands current chairman Rodney Richards. 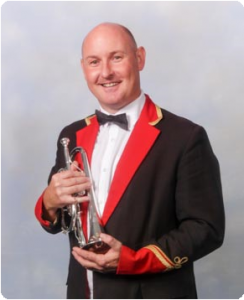 His highlights include being awarded best Cornet player in Youth section at Bugle contest in 1993 and then winning Bugle contest playing Eric Ball’s Journey into Freedom the following year. This was the last contest before he decided to take a break from playing. Scott returned to playing and the band in 2014 thanks to Colin Whitford’s persuasion. Like the rest of the band, the 2016 contesting year has been unbelievably successful and one that will be hard to better. James started playing cornet at the age of 11 in 2005 in Mount Charles Youth’s “Little Stars”, progressing into the Youth Band while under the personal tutorship of Bianca Davis. James rapidly gained experience at Mount Charles Youth and made several appearances with them at the National Youth Championships in Manchester, Music for Youth at the Symphony Hall Birmingham and The British Open Youth Championships at Prestatyn under Musical Directors such as Richard Marshall and Philip Harper. In 2008 James spent some time at a successful St. Breward Band under Garry Lannie but in 2009 hitchhiked a ride with Garry into St. Dennis Band playing with the Senior, Junior and Youth Bands. After finishing Secondary School and achieving Grade 8 on cornet, James went on to study A-Levels at Truro College and went on to study for a Degree in Biomedical Studies. After gaining his degree in 2015, James took up employment with the NHS and works in Pharmacy Technical Services at Treliske Hospital. Following the initial shock of having to get out of bed every morning, he finds the challenging work very satisfying. 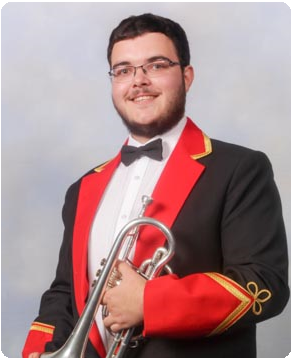 James was also a member of the Cornwall Youth Brass Band from 2007 to 2016 and attended no less than 18 Christmas and Easter Courses and was extremely proud to be the Principal Cornet for the 2015/16 season. The achievement of being made Principal was a real highlight in James’ career. James has enjoyed many highlights with St. Dennis Band, a few being winning and playing in the square at Bugle Contest twice, winning the First Section National Finals and many other great contest performances under Darren Hawken. James is currently very happy playing on the front row – the 2nd best section in the band!! Along with his brother, Solo Trombonist Andrew Hammett, he thoroughly enjoys the social side of St. Dennis Band – especially the bar and dancing! !